The Snake Pass is to be closed on Saturday for investigation work after a fatal collision. The entire stretch of the A57 will be closed between Glossop and Ladybower Dam, where the road meets the A6013 Ashopton Road, from 10am until 2pm on Saturday, November 10. The stretch of the A57 from Ladybower towards Sheffield will be unaffected. Police officers are investigating the circumstances surrounding a collision in which a 19-year-old motorcyclist died on Saturday, September 29. He was riding a Yamaha motorbike which was involved in a collision with a Skoda Yeti. 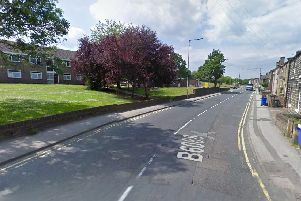 The biker was taken to Salford Hospital, where he later died.